The weekly family meeting. For our family, and I’m assuming for all families made up of people who have their own lives and interests, this is the hardest part of the week. Getting my husband to stop work and sit down with the rest of us is like pulling teeth. 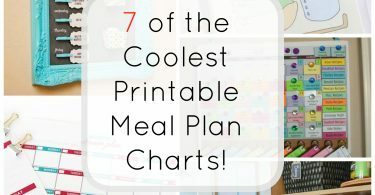 When my dad lived with us for about 6 months we were able to get him to sit through maybe 4 of these things. My mom and I are both game “whenever everyone else is ready” but what we really mean is “we’re ready when this episode of Intervention is over” which says to everyone else “continue doing whatever you’re doing, because this thing that we’re asking you to do is clearly not a priority to us so why should it be a priority to you?” Can you tell that how me and my family are treating this meeting is frustrating me? Well it is. My instinct is to not force this meeting. After all, we are all adults and normally I’m of the mindset that adults get to make whatever choices they want and then deal with the consequences. Here is the problem with that though, we are not just a bunch of roommates, we are people who have committed to live together as a family and if there is one thing that I can say without a doubt is the most important thing to keep a family like mine unified is this stupid inconvenient meeting. Why would I say this? The most important thing? Really? Yes! The reason I say this breaks down into 3 parts. 1st: my house consists of 3 adults and 1 baby. At times there have been as many as 6 adults living under this roof. When you have that many people who can drive, have their own jobs, vote and see whatever movie they want at the movie theater you need some sort of weekly coordination if you want to see each other or have family dinners. 2nd: My son is learning all the time and I want him learning the right things. Some of these things are consistency and dependability. I want him to know that he can depend on his parents. If momma or daddy say on Sunday that we will go to the park on Tuesday I want him to know that it will happen. Us sitting down once a week to go over schedules and talk about rules and chores is not only a great way to make plans but it is also the ideal time to talk about what needs to be done in the house and (when he is older) discuss his commitments as well. 3rd: like I said, we have a bunch of different people with different lives living under one roof in my house and we needed a structured time and place to emotionally check in with each other and talk about our lives and how we can support one another. So many people roll their eyes at this, and if you have a roommate situation in your house go ahead and skip this part and just talk about who needs the car on what day. However, if you want a unified family you have to talk about what is going on in your lives and how that is making you feel. Sorry, but i’m not sorry. If you’re still with me you might be wondering how to set up one of these things. 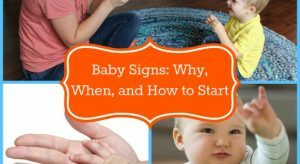 Well, you learn from our mistakes and figure out how to make this meeting a priority in your home.The easiest solution I found is to have a set day and time for these meetings. Originally what we did was try to have these meeting anytime on Sunday, thinking that we could work them around the activities we already had planned and that being flexible would make things more convenient. Here’s the problem with that, anything and everything took priority over these meetings. In my house if something can happen “whenever” chances are it is never going to happen. So we all decided that 3 o’clock after church on Sunday we would all commit to sitting down and hashing things out. 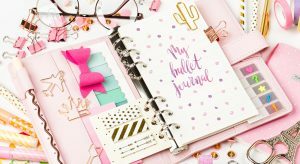 That is really all you need to have these meetings, a commitment from everyone in the home to at a specific time each week put down the books, iPads, and remotes and talk with each other. You, of course, can set your family meetings up however you like. However, we have broken ours into 3 parts, the emotional check-in,weekly goals, and scheduling. So what is the emotional check-in and how does it work? Well, it does not work if you go into the meeting not ready to share but ready to fight. For example this is not a time for my husband to say, “Kayte and Shara, you guys need to stop interrupting me when I’m working. What I’m doing is actually important and every time you knock on my door and ask me to take out the trash, or watch Fox, or help you with something on your computer I have to start all over. I feel like I have to do everything around here.” Let me just say that my husband is the sweetest guy I know and he would never dream of talking to me this way. He is also one of the smartest guys I know, so he would also not talk to anyone this way because he knows this is not an effective way to communicate what he needs. However, if during the emotional check-in he said something like, “Guys, I’m really stressed out at work. I also feel kinda torn right now, because there are things around the house that I need to help with but I can’t because of what I need to do at work. It’s frustrating because I feel like I’m going to disappoint you guys or let down my coworkers.” These two statements basically boil down to, “I’m overwhelmed, can you help?” but because one is said with openness, vulnerability, and the belief that he will be supported they sound so different. The check-in is also a great time for parents to say things like “we’ve noticed that you and your siblings are fighting a lot, what’s the deal?” or “thank you guys for all your help around the house this week!” or even “your cousins are coming to visit. Are you guys excited?” You get the idea. This is not a time for someone to ask you “how are you doing?” and for you to say, “fine” and then move on. This is a time for the family to come together, get on the same page, and support one another. We don’t put a time limit on this part of the meeting, we never feel rushed, and we ALL share SOMETHING. The second and third parts of our family meeting are pretty self explanatory. Goals is where we set goals and talk about what we were working on from last week, and schedules is where we go over our schedules for the week and figure out things like when my husband and I can go on a date or when would be the best time for me to go to the gym. Both of these are pretty straight forward, still I have a few things to say about both of them. 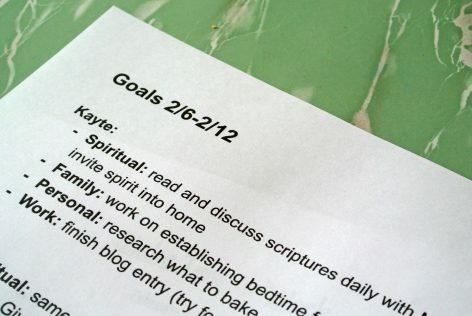 First off, we all set 4 weekly goals for ourselves: a spiritual goal, a family goal, a personal goal, and a work goal. Now 4 goals might sound like a lot to some people but believe it or not we are limiting ourselves to only 4. If we didn’t put a limit on these my mom could easily walk away from this meeting setting 15 goals for herself and by the end of 4 weeks she would be overwhelmed and not wanting to participate. I’m going to tell you what I keep having to tell her, these are goals not a to-do list. Goals are something that you need to work towards, a to-do list is a list of things you need to get done. If you choose to work this part into your family meetings feel free to limit yourself to 1 or 3 or however many you like, but my suggestion is to put some sort of cap on the amount of goals and keep in mind that these are goals not a to-do list. As for schedules the only thing I have to say is make sure to put everything on the family calendar. I can’t tell you how many times a date couldn’t happen, a hair appointment got made for the same time as a doctor’s appointment, or all three of us totally forgot an important birthday because we simply didn’t say something during family meeting. So even if you think it will only affect you, even if you think you’ve already mentioned it to someone, save yourself the trouble and say something anyways. 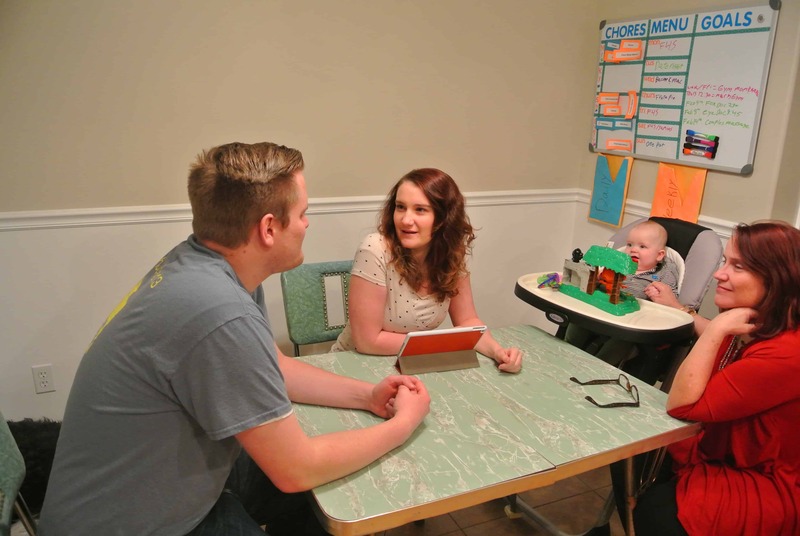 This is how we’ve set up our weekly family meetings and this really is what makes everything in our home work the way it is meant to. It has made life so much easier and made our home run so much smoother. You don’t have to set these things up exactly the same way we do, but I cannot recommend doing some sort of weekly check-in enough. I can almost guarantee that it will be hard and a total pain to do at first, but I can also say that sense doing and taking this time together seriously we are more patient with each other, we all get more of what we need, and over all we just feel better. Yes, these meetings can be hard but they are always always always worth it. 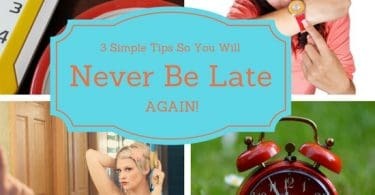 3 Simple Tips So You Will Never Be Late Again! Kayte lives in Utah with her husband (Mark), son (Fox), and mom (Shara). She loves spending time with family, watching movies, making s'mores, and listening to Stephen King audiobooks. This is really interesting and something I haven’t thought about previously. I am thinking about it now. Thank you for sharing!